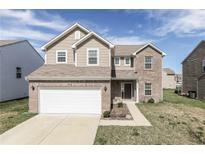 Below you can view all the homes for sale in the Enclave At Stones Crossing subdivision located in Greenwood Indiana. Listings in Enclave At Stones Crossing are updated daily from data we receive from the Indianapolis multiple listing service. To learn more about any of these homes or to receive custom notifications when a new property is listed for sale in Enclave At Stones Crossing, give us a call at 317-987-2530. You'Lower Level be able to enjoy your own private retreat. 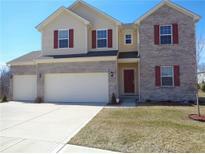 MLS#21632558. Trueblood Real Estate. 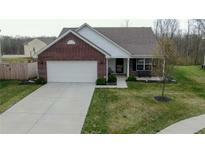 Great Location- Very Near To Center Grove High School & Everything Greenwood Has To Offer. MLS#21630556. Jeff Paxson Team. Well Maintained Home on a large wooded cul-de-sac homesite-6 years new & full of Updates--Gourmet Kitchen-Custom Backslash- Farm Sink-Center Island with seating-xtra can lights--Crown molding on cabinets-Huge Walk in pantry- Eat In Kitchen-Oversize Master Closet connected to the laundry- Double bowl vanities in main bath & in Deluxe Master Bath-Garden tub-linen closet-Open Concept-Loft-Office-Custom Barn-wood fireplace mantle with travertine stone-9ft ceilings-92% Efficient furnace w/ nest thermostat-Extra deep finished garage 24x20 with custom storage and insulated door-new oil rubbed bronze hardware-Updated light fixtures-Wide stairs-Custom Blinds-Cabinets above laundry-Unlimited Storage-10yr structural warranty-Center Grove Schools- MLS#21629624. Keller Williams Indy Metro NE. The 3 car garage is fully finished and insulated. MLS#21628764. Berkshire Hathaway Home. The master suite features a large walk-in closet, double sinks, and a tub/shower combo. MLS#21626416. Mike Watkins Real Estate Group.